The the following written testimonial and weight loss pictures are from my friend Madhu. She had a special request that I express courier Skinny Fiber because of postal delivery issues in her country. I was really nervous about doing this because the cost was high for her and I could not guarantee that she would get the delivery. Regardless, Madhu believed in Skinny Fiber and me so much that she was determined to try it. How wonderful she did because look at her Skinny Fiber Results!!! She went from struggling with weight loss after pregnancy to tons of inches and weight loss results. If you are struggling with losing the baby weight, then please let her testimonial be inspiration to you! for us in the United States. This is a huge accomplishment because she had been trying to lose weight for a year after having her baby. I am really proud of her because weight loss after pregnancy is hard!!! Skinny Fiber made it easier for her, but she still had to do her part! Doesn't she look wonderful? 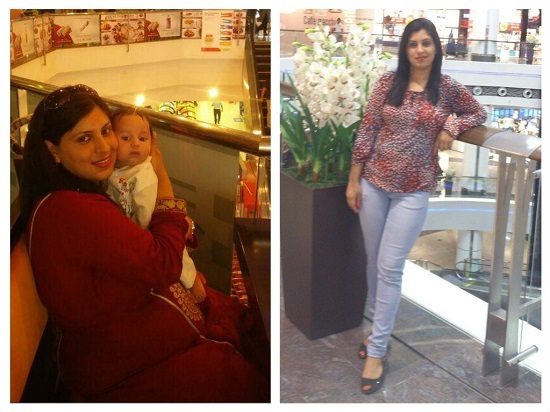 Madhu lost 10 kg with Skinny Fiber which equals 22 pounds in the United States. She feels incredible and is working towards losing a bit more, so please comment below to congratulate Madhu and encourage her on her last few pounds!